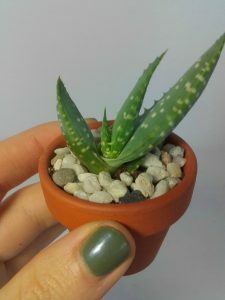 Thank you for stopping by and welcome to Succulentaddict.co.uk. 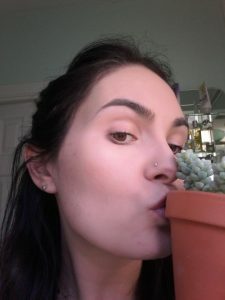 My name is Kat and this is my little place to talk about my love of succulents. 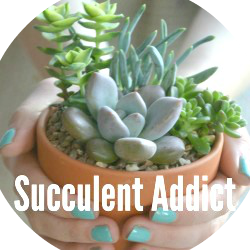 If you love succulents as much as I do, or you would like to know more about them, check out my blog which will document my succulent adventure and what I have learnt about these chubby beauties! I will discuss different types of succulents, different watering methods, pots, and all manner of succulent and cactus related news. I will also discuss a different succulent in more detail each month, as part of my Succulent of the Month series. I have put together some of my top tips for caring for succulents and a gallery of some of the succulent planters I have made over the years. I hope in time to also add a succulent ident page so stay tuned! About me: I came accross succulents several years ago. I had just completed my training in floristry at Capel Manor College. Upon leaving college and trying my hand at running a from-home floristry business I stumbled upon the colourful and varied world of succulents and fell head over heels for them. I decided to focus on promoting succulents in the form of little planted up gardens that I sold from various fairs and markets around London and the South East. While I am not currently making succulent planters for the public, I take a lot of satisfaction from photographing and blogging about them. I am based in the Chilterns, in the UK where I live with my boyfriend. I work in the horticulture industry and while I love many different types of plants, succulents will always be my favourite.